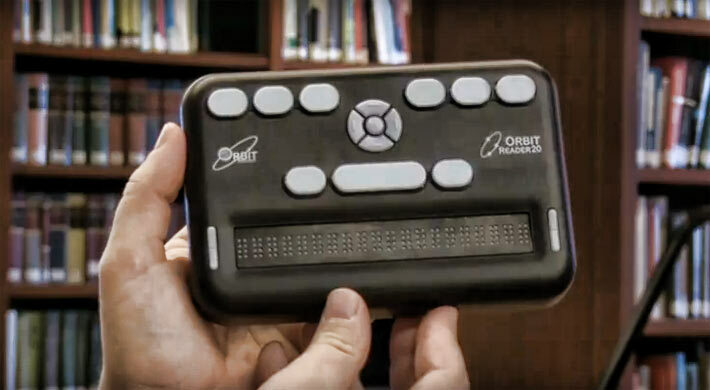 The availability of affordable refreshable braille displays will greatly expand accessibility, and their use with smartphones and other devices will help those who are blind or have low vision stay connected in the digital age. Recognizing the importance of innovative communications technology designed for people with disabilities, FCC Chairman Ajit Pai yesterday announced the winners of the seventh annual Chairman’s Awards for Advancement in Accessibility (Chairman’s AAA). The Chairman’s AAA celebrates outstanding private and public sector ventures as part of the Commission’s continuing effort to facilitate ongoing exchanges among the telecommunications industry, assistive technology companies, app developers, government representatives, and consumers to share best practices and solutions for accessible communications technologies. Awards are given based on the inventiveness, affordability, availability, and potential impact of the technology for intended users. Description: This refreshable braille display and notetaker significantly reduces the price point for this type of accessible technology, which has been prohibitively expensive for many blind and low vision persons. The American Printing House for the Blind worked with Orbit technologies to pioneer a revolutionary technology for activating the braille pins in the display, which also saves power. The availability of affordable refreshable braille displays will greatly expand accessibility, and their use with smartphones and other devices will help those who are blind or have low vision stay connected in the digital age. Description: WGBH in Boston and the National Center on Accessible Media have developed a free program for closed captioning and video descriptions. The software for laptops and desktops is a cost-free solution that enables small video content creators to easily caption and provide audio descriptions for their video content. Description: The IBM AbilityLab Content Clarifier is an innovative accessible technology that uses artificial intelligence (AI) algorithms, machine learning models, and natural language processing to simplify, summarize, and augment digital content to increase comprehension for people with cognitive disabilities, the aging population, or those learning English as a second language. The Content Clarifier can be integrated into any software application and can be used in educational materials, websites, apps, and smartphones. Description: This free Microsoft app narrates the visual world to improve accessibility and independence for blind and low vision persons. Using deep learning and natural language algorithms, the Seeing AI app describes nearby people, text, and objects with spoken audio, and includes real-time text and handwriting reading. The 2018 Chairman’s AAA award-winning technology was displayed at a reception immediately following the awards ceremony at the M-Enabling Summit, June 12, 2018, in Arlington, Va. The Chairman’s AAA was first launched at the celebration of the 20th Anniversary of the Americans with Disabilities Act (ADA) in 2010. The purpose of the awards is to promote innovation in accessibility by recognizing the development of mainstream and assistive technologies introduced into the marketplace, the development of standards, and the implementation of best practices that foster accessibility. For more information about the Chairman’s AAA, go to fcc.gov/chairmansaaa.